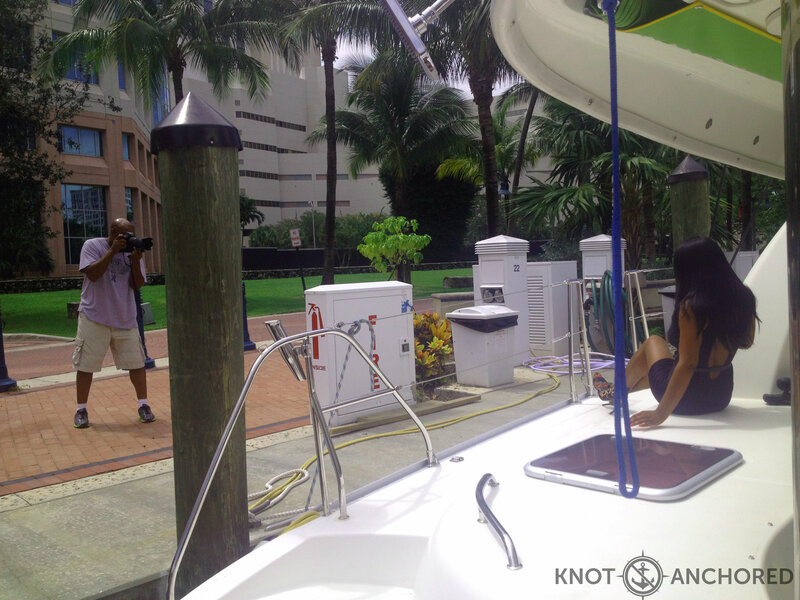 Why wouldn’t we have a photo shoot on Knot Anchored?! I know what you’re thinking…that’s not Knot Anchored! Ah friends yes it is, we may have been holding back a little on our upgrades. Now the secrets out, we did a really fun sun shade on our windows. Some of you might be thinking ‘what window’! This lovely young lady’s name is Jo. These are her yearly Birthday photos. George Wakefield is the photographer. It’s me taking a picture of George taking a picture of Jo! Then again it helps when you look like this!! Interested in getting pictures done in the Fort Lauderdale area? Call George!